When you’re thinking of remodeling your kitchen or bathroom, semi-custom cabinets will certainly be on your list. Today’s selections offer much in the way of style and versatility. 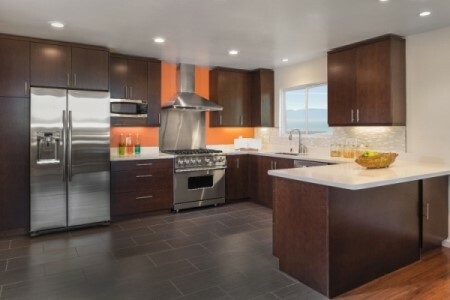 However, before you choose your cabinets, there are many considerations to make. 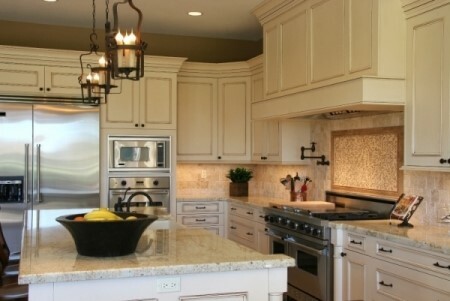 Call Affordable Quality Cabinetry in Myrtle Beach, SC at (843) 968-0932 for more information! First, let’s talk about all of the benefits of semi-custom cabinetry. If you are undecided on whether or not to invest in semi-custom cabinets, these benefits may assist you with making the best choice for you. New cabinets that are semi-custom-designed allow you the opportunity to create something that’s uniquely you. You can have your cabinets designed with features that showcase other elements in your home. With this option, you get to choose each and every aspect of your cabinetry, from the hardware to the wood used to make them. Another aspect of cabinet design is that you can choose exactly what kind of look and style you want. Your design company can use paint, a special glaze, custom colors, and more to make your cabinets look just as you wish them to. One of the main benefits of semi-custom cabinetry is that you don’t have to limit yourself to standard sizes. No matter the size or shape of your space, your cabinets can go as high or as wide as you wish. This kind of sizing also means more space, which can mean less clutter in your kitchen when the kitchen cabinet remodels is all done. The cabinets you currently have may have lasted you a long time, and that’s a very good thing, but everything’s usefulness eventually comes to an end, and new cabinets are a great way to ensure that you can use all of your bathroom or kitchen for many more years to come. In choosing semi-custom cabinets, you ensure a better fit—something that’s not always possible with cabinets of standard size. The more accurate the fit, the more durable your cabinets can be overall. Believe it or not, the investment you make in your cabinets can add value to your home. When it’s time to sell, you can let prospective homeowners know about your new installations. You might be surprised at how many of them may be searching for a home that’s been renovated with new cabinetry. When you have your cabinets installed by professionals, you benefit from the expert knowledge that includes how to transform your kitchen cabinets without the cost of full custom construction. The person who designs and installs your cabinets is skilled in their craft, and can, therefore, ensure your satisfaction and conduct professional installation without taking days to do it. When you think of cabinets, kitchens and bathrooms may certainly come to mind. However, you can also have cabinets semi-custom-built for your bedroom. What kinds of cabinets belong in the bedroom and bathroom? Well, if you have an older home that doesn’t have a closet in the bedroom or your current bathroom vanity is too small, a semi-custom option can be a great idea. A semi-custom bedroom cabinet can echo the character of an older home, as well as save you money on the cost of a whole room renovation. In addition to having a cabinet in the bedroom, you can also have cabinets built for your living room. An entertainment center or another type of cabinet can be designed with features that are unique to your tastes, as well as not being available in a store, which can also make it a great conversation piece. The best thing about semi-custom cabinets is that what you see isn’t what you get. That is, you don’t just buy them and that’s it. Instead, you can have any number of features, like semi-custom appliance panels, details like turnings, and other items added wherever you like. Even the smallest addition can help change the entire look of your cabinetry, which adds yet another benefit: You don’t have to spend a lot of money on a brand new set of cabinets just to make a major difference to a room. If you have ready-made cabinets, you may have created any number of solutions to add storage, hide items, or simply just keep things organized in general. However, by choosing semi-custom cabinetry, you can have storage and organization solutions built right in. This will give the entire room a far neater appearance, as all the storage created with the kitchen remodel will be specific to the items found in your home. Semi-custom cabinets made from wood are not only unique and beautiful; they are also good for the environment. Wood in its natural state is not only renewable, but can be recycled, and it is non-toxic, as well as being biodegradable. Because you are involved with every step of the process, nothing—including the source of wood for your cabinets—is questionable. For example, you can choose cabinets made from salvaged wood, which is far easier on the planet. When it comes to staining or painting your cabinets, there are many options that are chemical-free. You might know what you want your cabinets to look like but, in order to make that dream a reality, you must find the right cabinet maker. A quality company will have certain characteristics and a set process they use with each client. 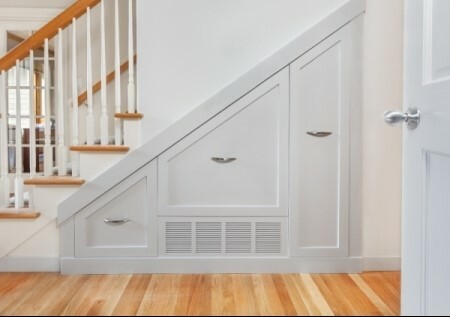 One important thing to look for in a semi-custom cabinet company is flexibility. There should be few boundaries to what you can do with your cabinet design. Whether you require special sizing, unusual finishes or woods, or other complex design elements, your chosen company should be able to incorporate them. Another important characteristic that your cabinet company should possess is the willingness to spend time with you to plan your cabinet design. They should not be in a rush to get going and finish the project until you are satisfied with the look of your bathroom remodeling. The company should be aware of the importance of cabinets reflecting your personal style and unique requirements and ensure that you get exactly what you want. A quality semi-custom cabinet company will also have extensive experience in creating other pieces, such as closet organization and storage, bookshelves, and sideboards. This can be a handy thing to know when you are really happy with your cabinets and may want something else made by the same company. Today’s companies use the software in their planning process. This software allows them to present different views of their cabinets to clients. They can also take a photo of your existing kitchen and superimpose the new cabinets to show you exactly what your semi-custom cabinetry will look like once complete and installed. What’s interesting about today’s cabinet software is that it will also allow you to see every detail, from crown molding to millwork, which will allow you to have a complete vision of the finished product. Every company will be different where it comes to pricing. Some will charge on a per-project basis, which is feasible because each set of semi-custom cabinets will be different, and each client will have a different budget. As well, certain items like finishing and materials will vary greatly in terms of cost. Other cabinet makers will have a general pricing structure which allows items to be priced by the linear foot and will charge additional money for special bathroom vanities that include exotic woods and custom finishes. The bottom line when choosing a semi-custom cabinet company is to ensure they enjoy what they do and are very interested in what you want. The one to choose is the one who asks plenty of questions so that they can get a clear understanding of what you are looking for. 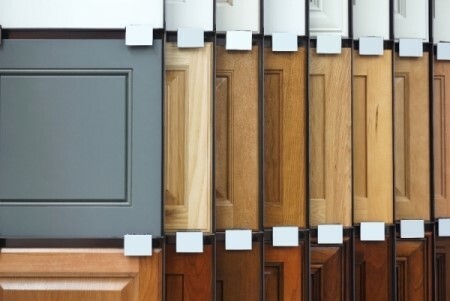 Affordable Quality Cabinetry is the company who responds to your questions and concerns with a clear explanation is someone who can offer you superior service throughout the process. Call (843) 968-0932 to speak with one of our home remodeling specialists.